As I have begun my journey into the realm of being an author, I would have never guessed the importance of having your own set of rituals, standards, and practices. Rituals become just as important as the piece in which I’m currently developing. Do you have a ritual? The certain thing or circumstance that—without its blessing—you might be rendered unable to complete that which you are tearing at your soul to master? I didn’t realize until trying to best my procrastinating ways that my rituals are very important to me.Firstly, I find myself to be a bit of a nyctophiliac, as It’s the night that really brings my best writing out. I’m not really sure whether it’s the serenity of the nighttime, or if it’s the calming darkness as the world sleeps, but this is my most adored time to write.The next thing that’s important to my writing practices is the presence of music. I have a very particular playlist that is composed of different songs that elicit specific emotions. With this playlist, I find that I can write a more effective scene. The emotions from the music help me ensure that the reader is experiencing the same feelings and sensations as my characters.Finally, location location location! Where I’m writing can directly effect the quality and quantity of what I write. I prefer to be in a comfortable place with little distraction (I have a slight attention deficit problem) so that I can complete what I have goaded myself at. Generally, I lock myself in my office at home and don’t emerge until I have completed my allotment for that day.At first I thought my rituals were me just being silly and overly dramatic. A poetic license can be a curse and I felt a bit like a whining jerk. Until I realized the importance of inspiration in writing. For anybody out there reading this and finding themselves in a difficult place with their writings, I urge you to find the mind set that you were in when you began your current project an go back to it. Your inspiration and comfort with yourself and surroundings are just as important to writing and your hands and your heart. 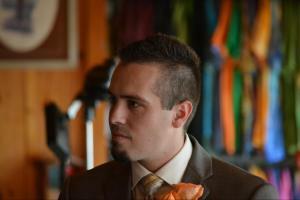 Zachary is 27 and lives in Maine with his lovely wife, Layla. The two of them share a home with their 4 fur-children Thai, Bambina, Loki and Le vie (Thai and Bambina are cats and Loki and Le vie are dogs).Zachary received an Associates degree in Criminal Justice and a Bachelor's degree in Criminology from the University of Southern Maine. He had two short stories published by Ohio State University when he was in elementary school, and a poem published when he was in high school. 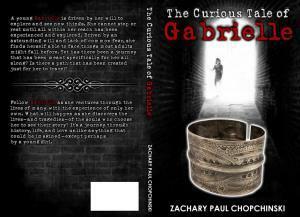 Zachary has always had two passions in his life, criminal justice and writing. After spending nearly 5 years working in security, he decided it was time to give his other passion a chance.Zachary is very much a family man and when he is not deep in writing, he can be found spending time with his family, playing video games or contemplating his next story idea.